A warm welcome in a house, renovated with dignity and charm, emanating the soul of the time - 1730. In the shadow of the Castle of the Counts, an oasis of calm in the hart of mediaevel Ghent. Bikes don't have to stay on the street, they will find a place in the old shop. The 'Old Man', painted by Jan's father will keep an eye on them. A lovely veggie-friendly breakfast; based on local organic produce and home-made delicacies like our famous bread and fruit marmelade. Did you stay in Myriame's Place? Let us know what you thought about it and help others to make the right choice! * I confirm having stayed in Myriame's Place. 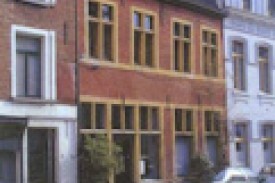 Find other bed & breakfasts in Ghent or all bed & breakfasts in East Flanders.